MILLIONS Online cruises past the $20M Guarantee! 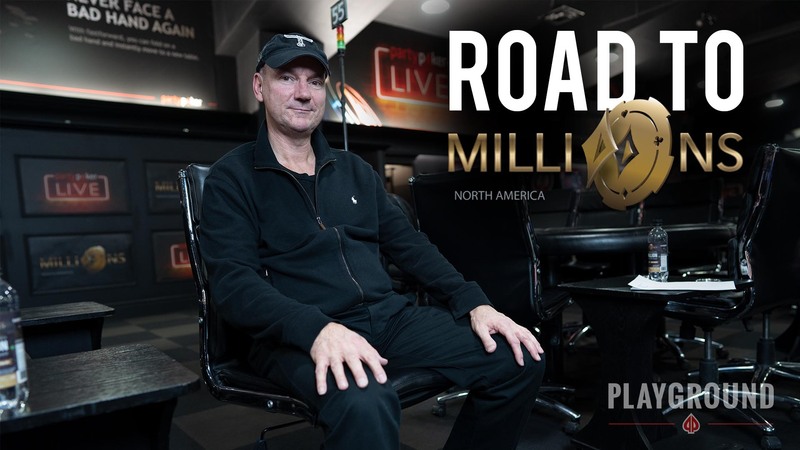 MILLIONS Online is the Online version of the MILLIONS poker series presented by partypoker LIVE, and when they announced that the guarantee of the event was going up from $5M (2017) to $20M (2018), people all around the poker world were skeptical, to say the least. 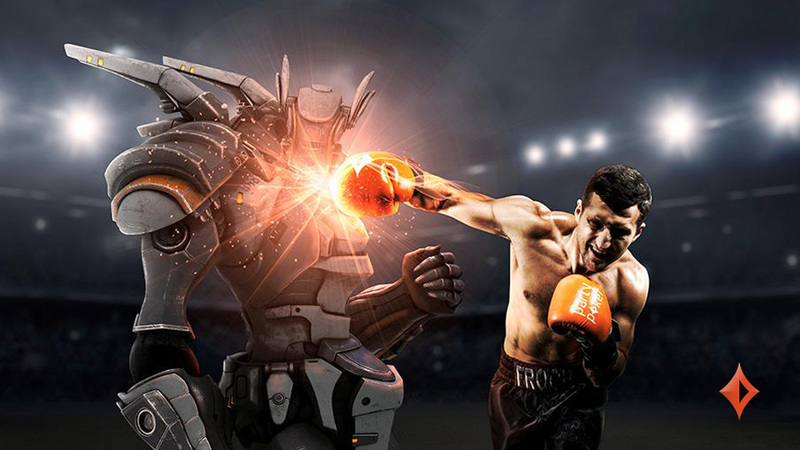 Now, with late registration closed in Day 1E, it is clear that partypoker has managed to beat the guarantee by a healthy margin. The final prize pool in the event is more than $21.5M, which sets the new record for largest poker tournament by prize pool in history! Day 2 in the event gets underway at 2:00pm. Through the first 4 starting flights there were 568 players qualified, and Day 1E is set to add another 110+ players to the mix. Day 2 will play through 18 levels with blinds starting at 80K/160K and an ante of 20K. 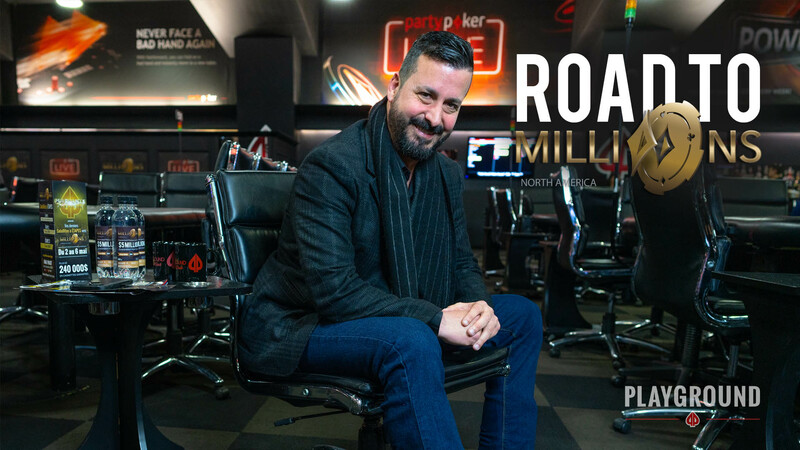 The chip average to start the day will be about 6.3M chips, meaning that players with an average stack will begin with approximately 40bb and the chip leader, Phil Gruissem, will restart the tournament playing a stack of more than 167bb! 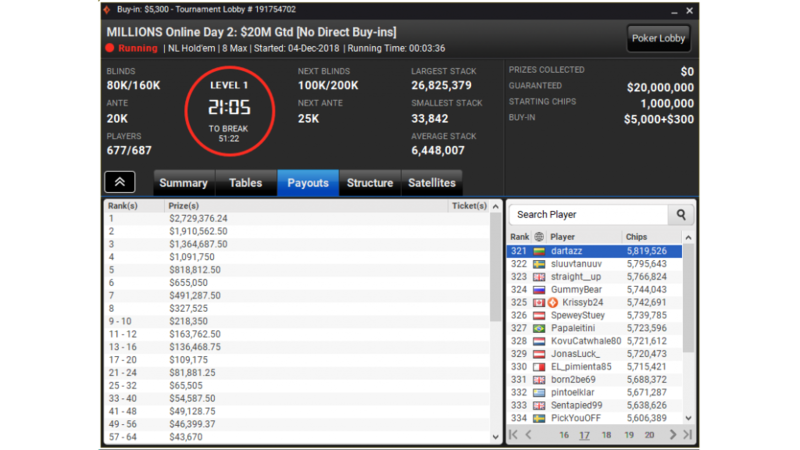 Update: Day 1E has concluded with 119 players through to Day 2, which will begin with 687 total runners. 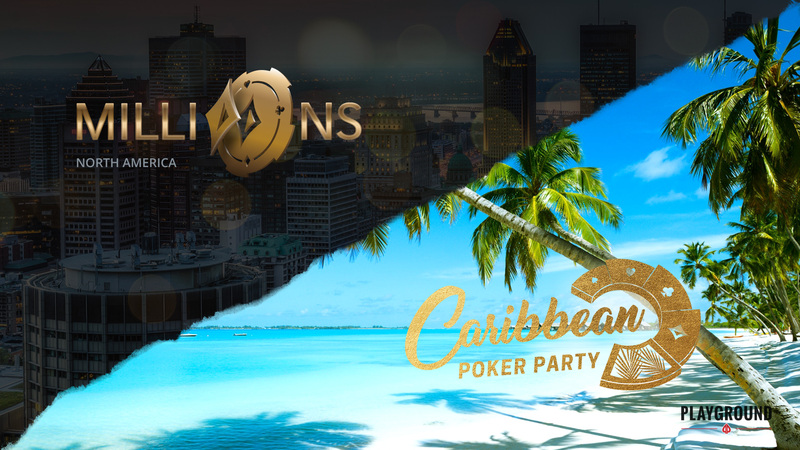 The top 500 players will be in the money with a min-cash of $10,917.50, and the winner is slated to get $2,729,376,24 – each of the top 4 players in the event will have a 7-digit payday! 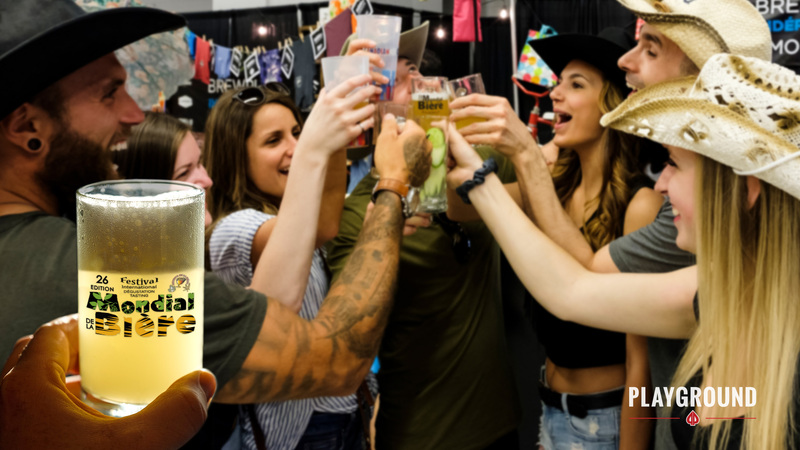 Good luck to everyone still in this amazing event!